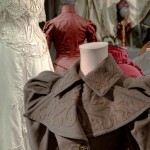 Most garments in collections have some degree of soil or damage accrued over time. 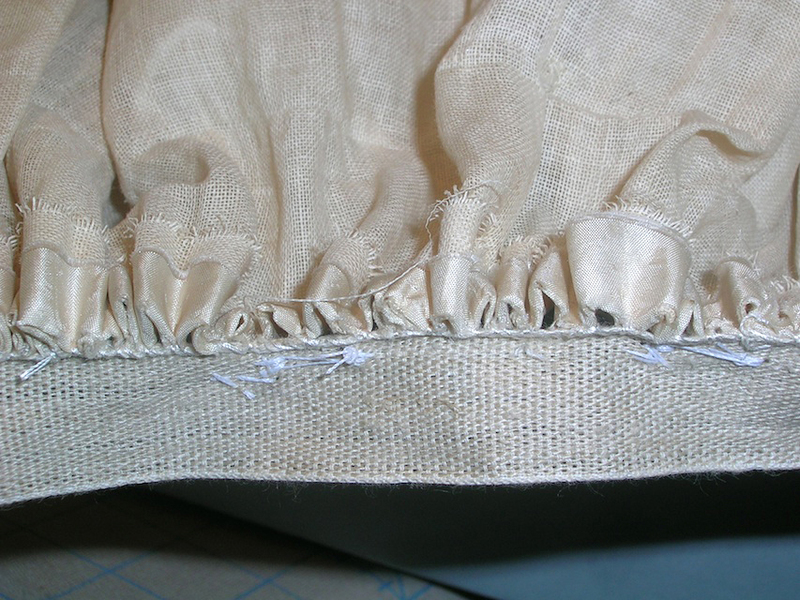 Simple maintenance and repairs are also available, with referrals to textile conservators for more complex conservation and cleaning. 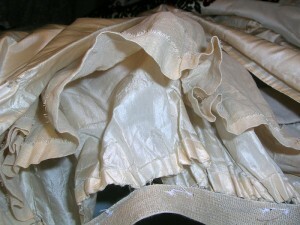 The skirt and lining of this garment had become separated from the waistband, possibly when the band had been replaced at some point in the gown’s history. 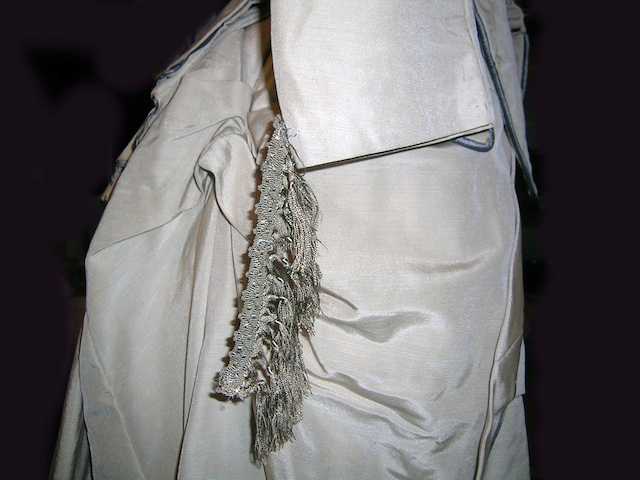 The gown could not be displayed with the skirt in this condition. The lining was reinserted into the folded over edge of the skirt and the cartridge pleats were resewn to the waistband following the original pleat creases evident in the silk. One sleeve of this silk faille dress had lost its cuff at some point in its history. 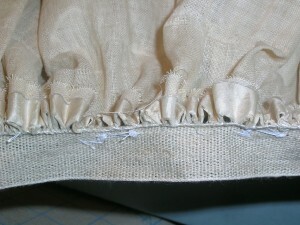 Only a strip of fringe remained, still attached at one end. 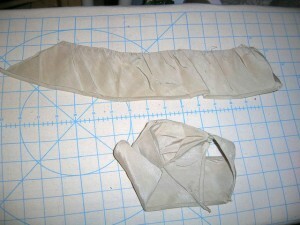 The pieces of the cuff were still associated with the garment. ”1870_reconstructed_sleeve.jpg” The pieces were reassembled with silk thread to echo the remaining intact sleeve. 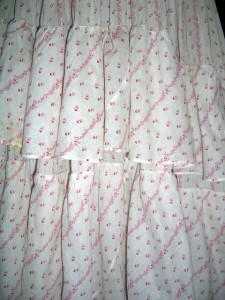 Sometimes all that’s needed is a gentle steaming. 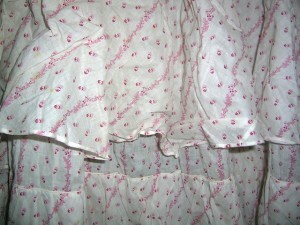 The flounces on this dress had become crushed after years in storage. 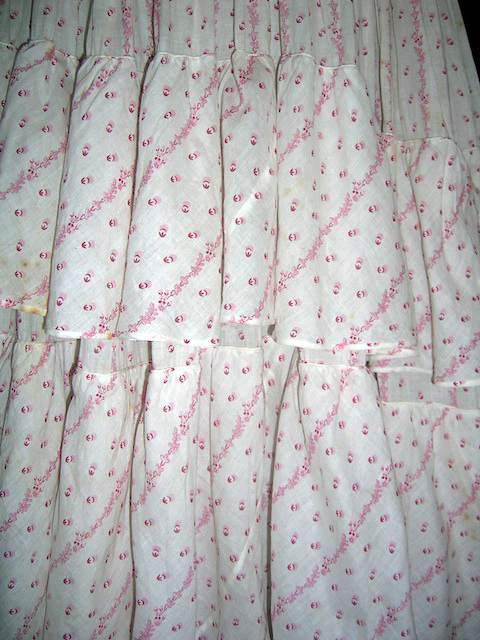 The resuscitated flounces after careful steaming.